So, day two of our study of literary devices was another fun filled day of playing with language. 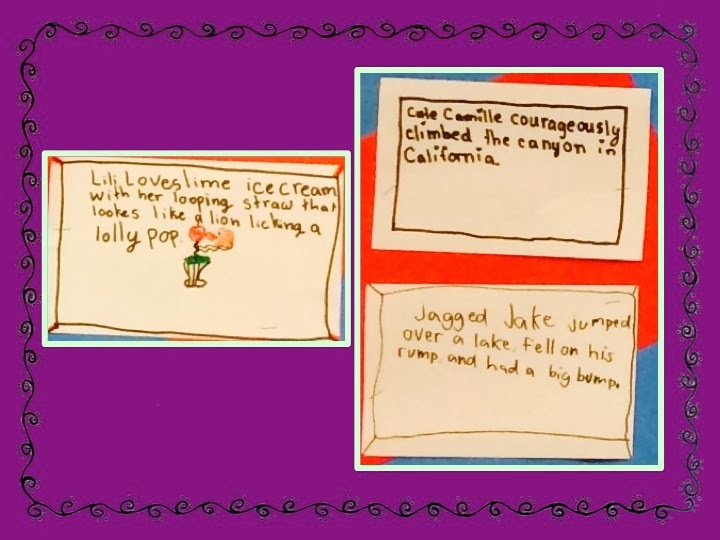 What better way to teach alliteration then with tongue twisters? Do you know these oldies but goodies? Did you try to say them fast??? Here is the final display of all of the tongue twisters. 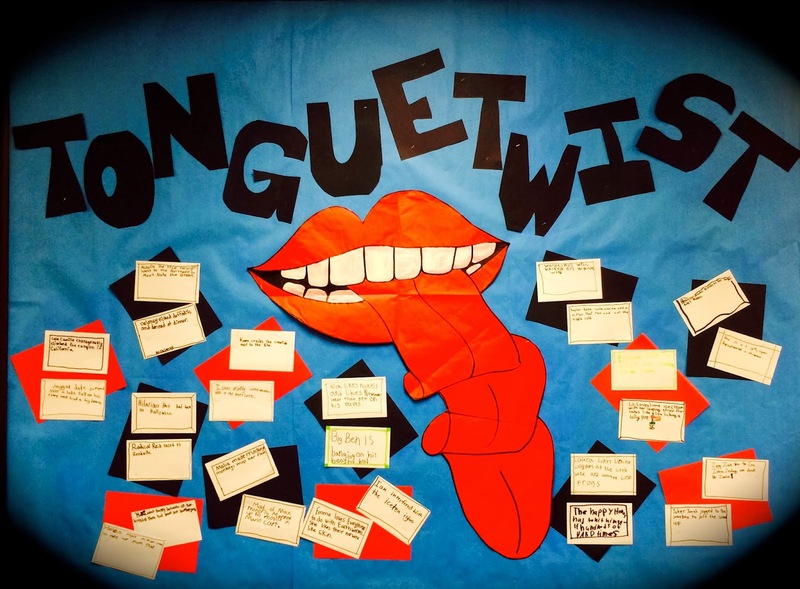 You might have noticed that it only says "Tongue Twist".... well, I ran out of room on the wall! But I think it worked out okay. For the next couple of days my class will be learning about similes and metaphors. Join us back here for an update! 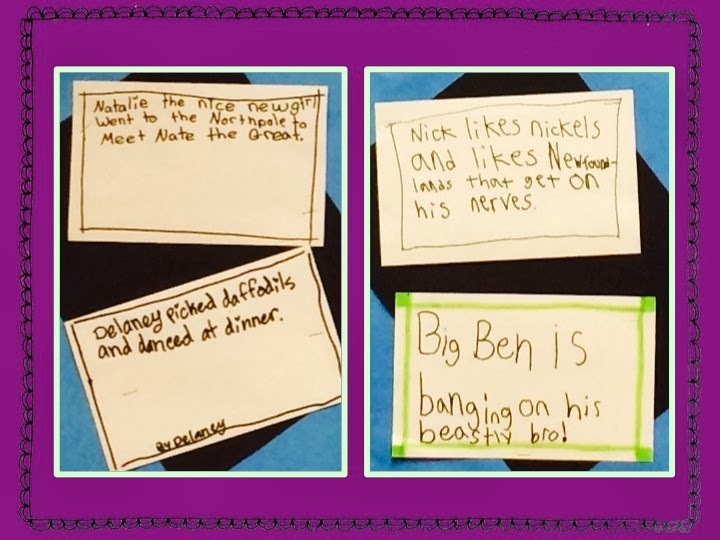 We will be doing "All About Me" pop-up books!